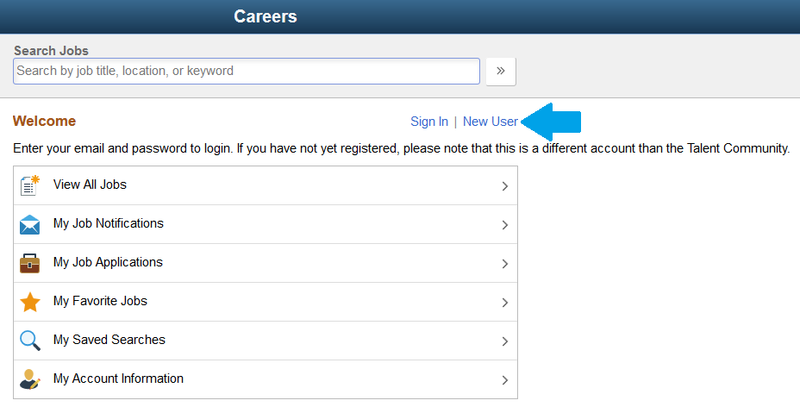 To submit an application through our eRecruit system you must first create a system account. Click the eRecruit link in the website footer. 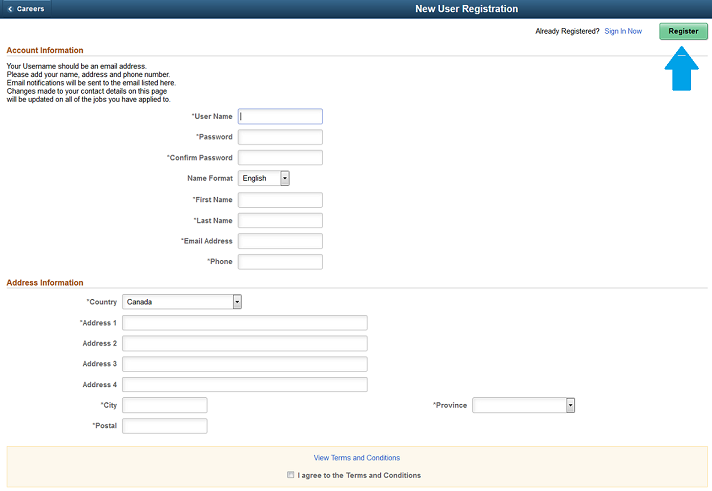 Fill in the form with your personal information. Your user name must be a valid email address. To complete your registration you must agree to the Terms and Conditions. 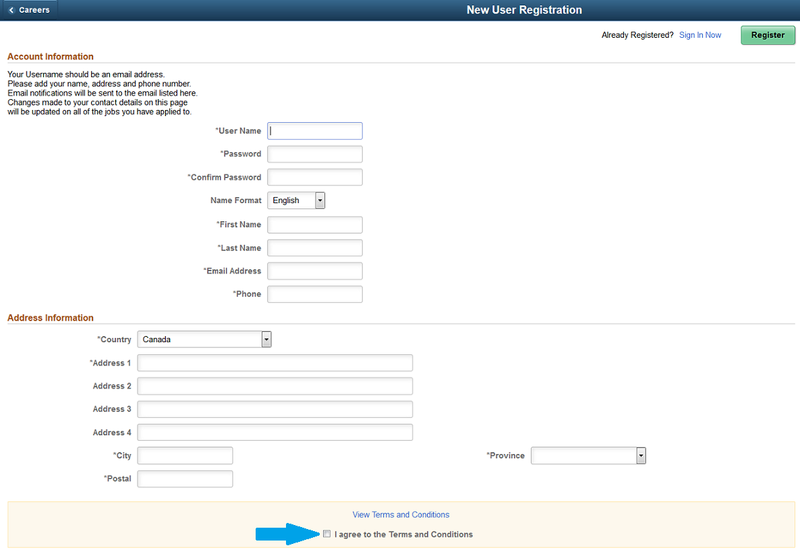 If your registration is successful a confirmation banner will appear at the top of the page.